As you try different gadgets on your Windows 7 desktop, you’ll surely load some gadgets only to find out that they aren’t as useful as you thought. When this happens, you can easily remove windows 7 gadgets from the desktop or from your computer entirely. 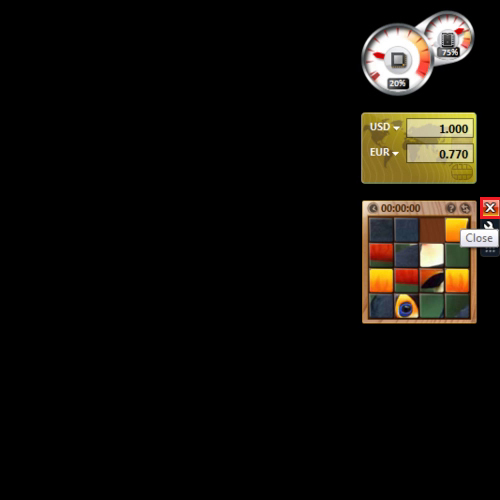 In this tutorial, we will first add some gadgets to our desktop and then later remove them. To add a gadget, right click on the desktop and choose the “gadgets” option from the menu list. When the gadget box opens, double click on any gadget to add it. To simply remove a gadget from the desktop, position your mouse pointer in the upper right corner of the gadget and when the “x” sign appears, click on it. To uninstall windows 7 gadgets, open the gadget box and right click on the gadget you want to remove. Two options will appear in front of you. Click on the “uninstall” option and your gadget will be removed. Sometimes it may happen that you can not uninstall windows 7 gadget properly from the gadgets box. So, you can delete it directly from the directory it is stored in. 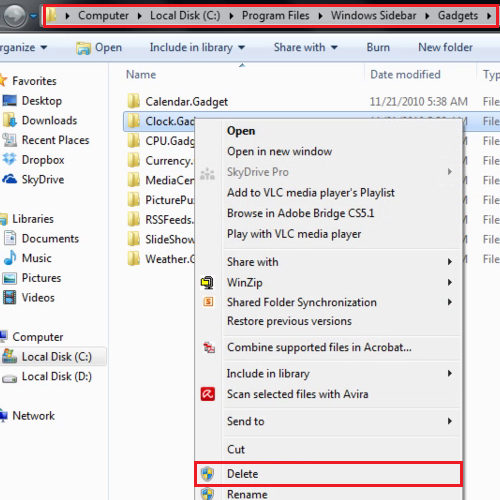 Once the folder opens in which the gadgets are stored, right click on the folder of the gadget you want to get rid of and choose the delete option and this will completely remove windows 7 gadget.